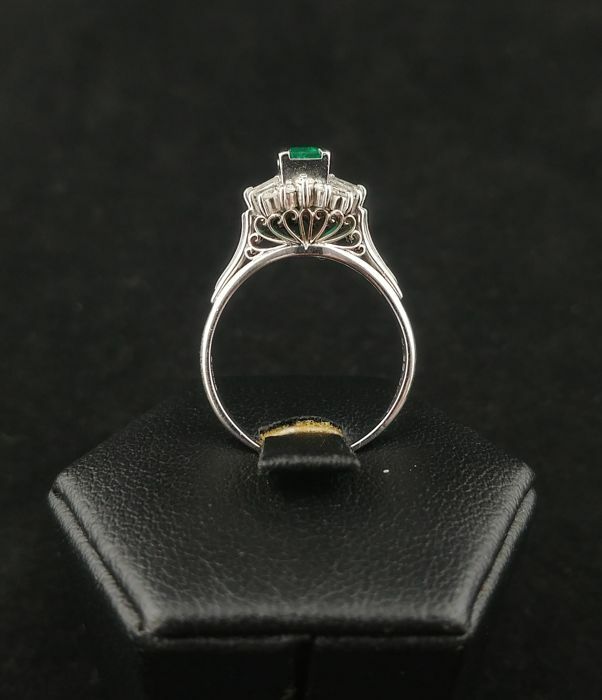 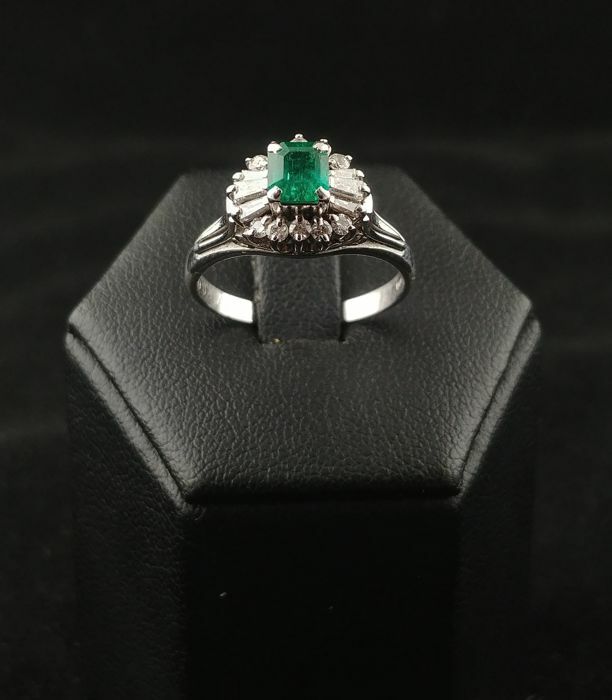 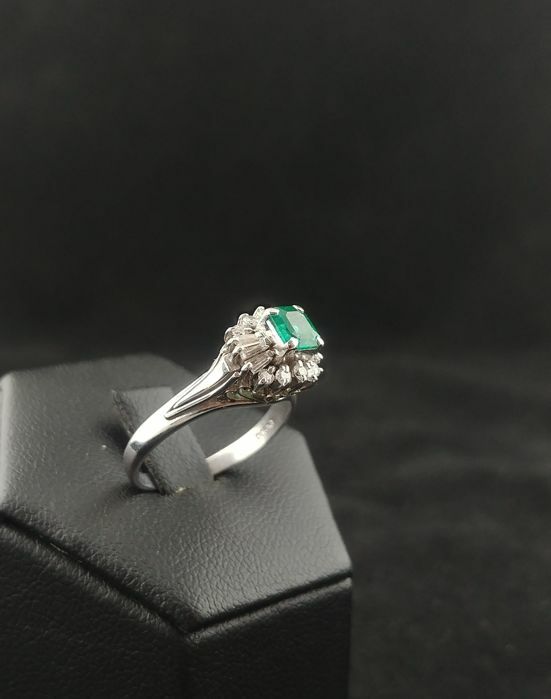 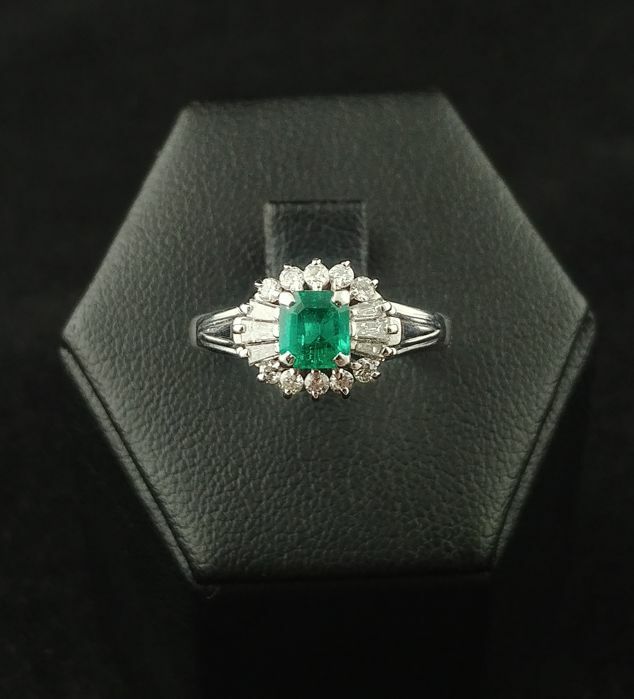 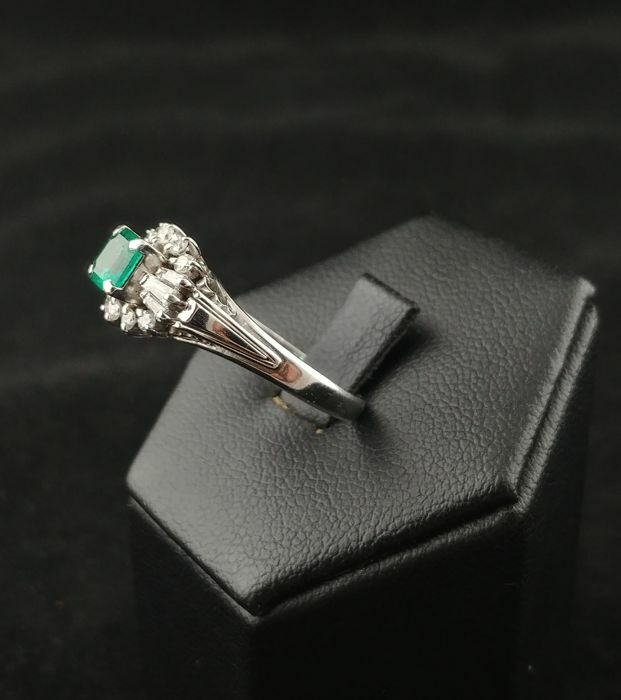 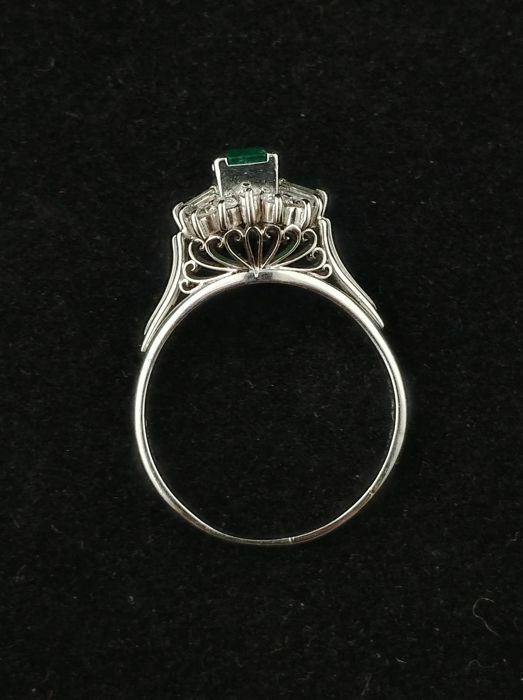 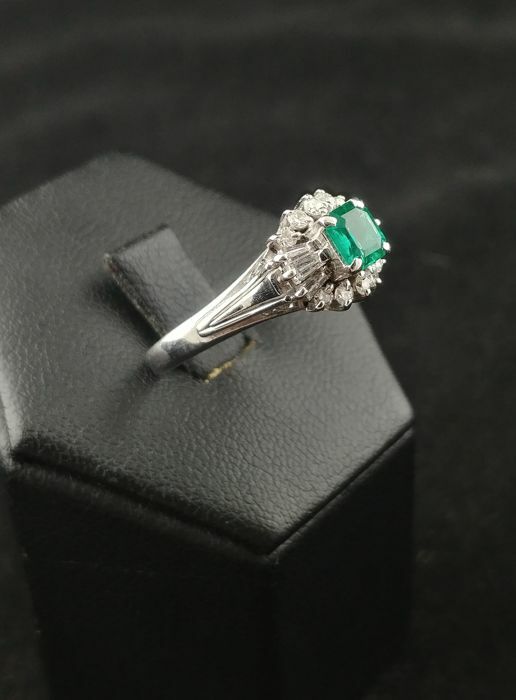 Platinum Italian ring with natural central emerald (0.39 ct) and accent diamonds (0.25 ct). 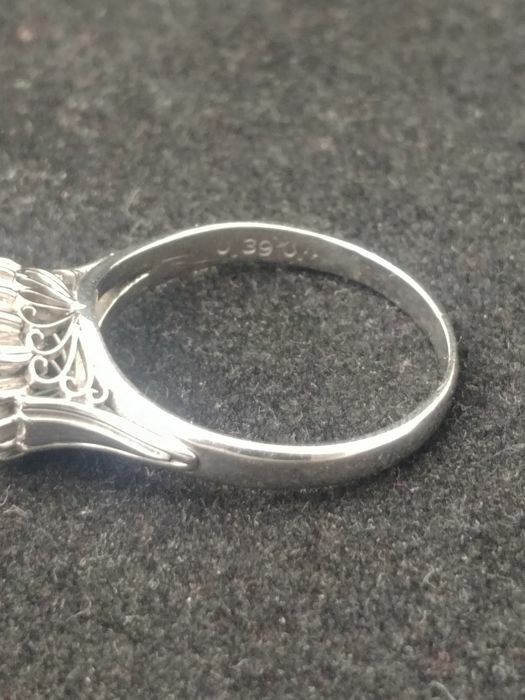 Created completely by hand with high quality craftsmanship. 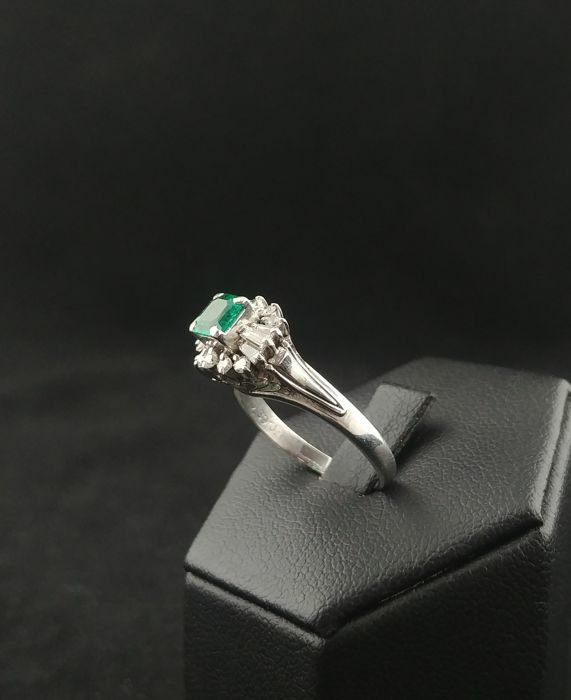 Brilliant cut and baguette/tapered cut diamonds, colour G/H, clarity VS/SI. 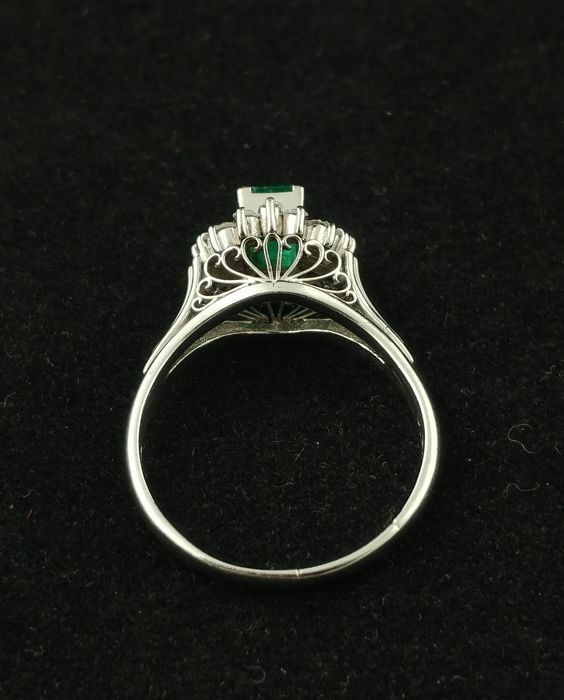 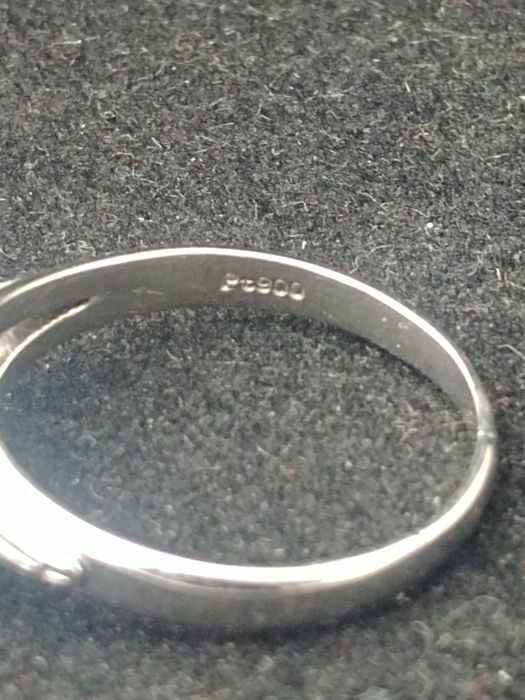 All weights given, although realistic and conservative, are based on assumptions, as the stones were not removed in order to preserve the original settings.